I have been procrastinating for months but it cannot be avoided any longer. 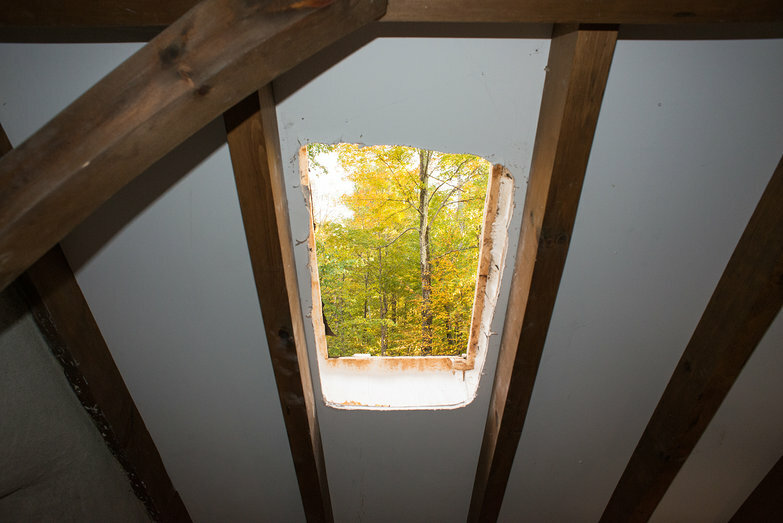 It is time to cut holes in our roof for the skylights. 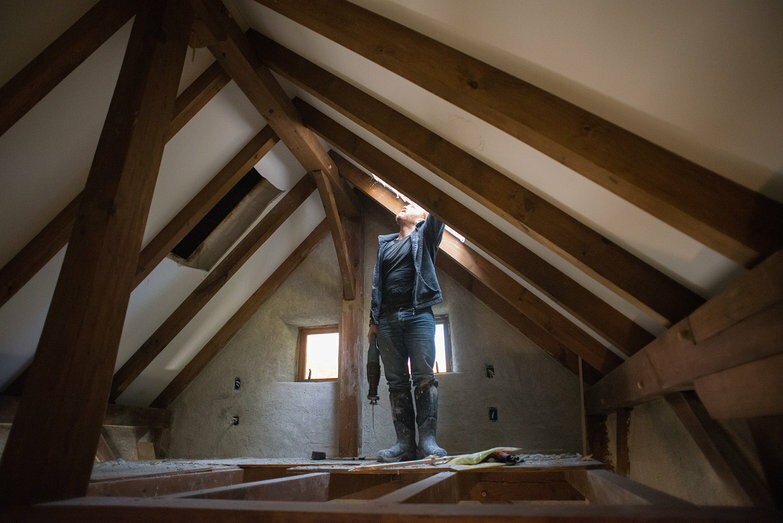 I know it is an unrealistic fear, but I'm terrified that I'll install them wrong, and that somehow our roof will rot off the top of the house before we can even move in. 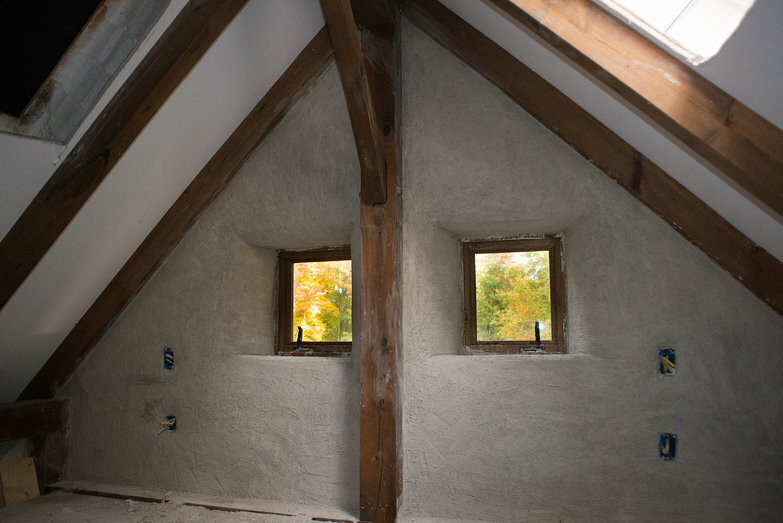 I have been so concerned about this that I even went so far as to get a quote to have someone else do it (but was put off by the multi-thousand dollar price tag, and the fact that they couldn't start on the project for weeks). A few days ago, Tara encouraged me to call Donavin, one of the guys who installed our SIP roof. He stopped by our place on a whim a few weeks ago to see how things were coming, generously giving us loads of pointers about the cold roof I've been working on. To my immense relief, he agreed to come for a few hours to help me install a skylight. It's no big deal, he assured me, it's no harder than anything else you've done so far. 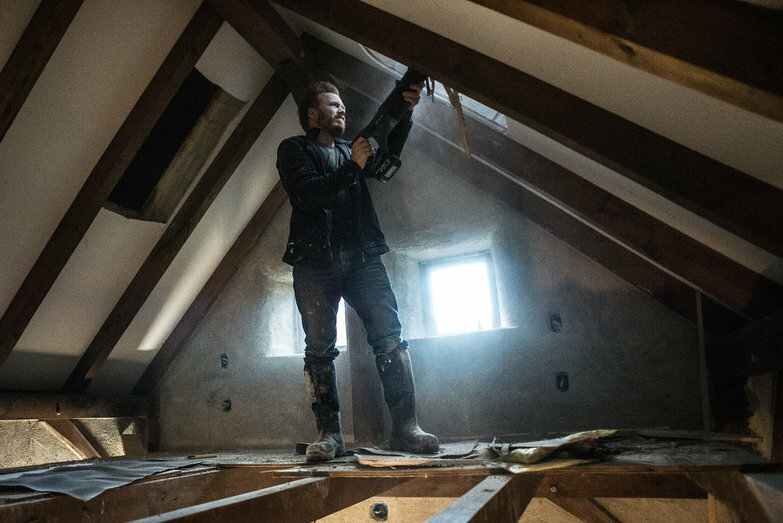 Bolstered by his confidence, and the promise of an experienced pair of hands to answer my many questions, I finally have the courage to cut holes in the roof. It feels so very, very wrong. Well that wasn't so bad. Part one, cut holes: CHECK. I'm just stopping by on your blog for my regularly scheduled amazement at your house. and now - skylights!!! I can totally understand how cutting a hole in the roof you've made feels SO wrong. But the view of the trees is beautiful! Step two: disaster, everyone dies and is homeless and probably has wet feet.